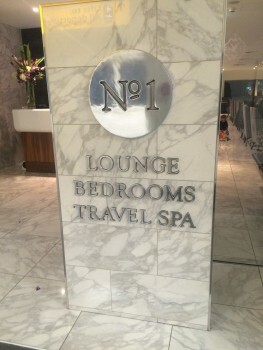 This is my review of the No 1 Lounge in Heathrow Terminal 3. I flew to Helsinki last week to test drive the new Airbus A350, of which more soon. All of my flights from Terminal 3 in the last few years have been on Emirates, where we would head directly to the Emirates lounge. As you could board directly from there, there was little incentive to check out the other options. Being the indecisive type, I decided to try them all! I will review them all over the next few days in the order in which I visited them. First up, No 1 Lounge. I like No 1 lounges. HFP reader Alan reviewed Edinburgh for me here. 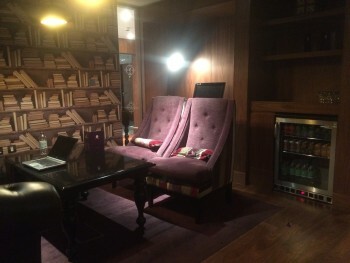 I wrote a very positive piece about their Gatwick North lounge last year, and the new ‘sister’ facility MyLounge this year. The new private Clubrooms in Gatwick South were covered here. 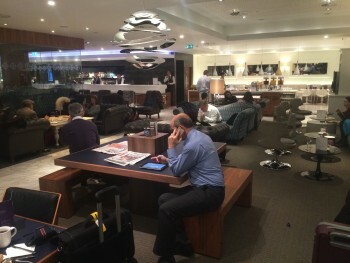 The Heathrow Terminal 3 lounge can be accessed for cash, via Priority Pass (free with Amex Platinum, or you can buy one directly) or various other access schemes. It is not in Lounge Club, however. this lounge also has a spa (paid) and a number of bedrooms (also paid) which you can use. I didn’t visit either but the option is there if you want it. It has a library, albeit with no books! There is a proper buffet and (not photographed) a full bar. Most alcohol is free except for premium spirits, champagne and prosecco, which can be purchased for cash. 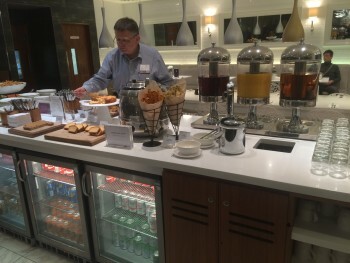 What I didn’t realise when I was there, as this was the first lounge I visited, is that the buffet compared exceptionally well to what the other lounges were offering in the 3pm to 5pm window – which was generally nothing. The computers are new Macs. There is a good selection of newspapers and magazines (note, BA and AA, that the lounge has magazines you might want to read as opposed to those paid for by the highest bidder). 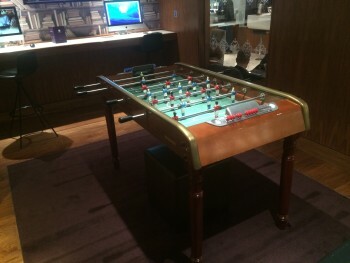 I thoroughly recommend this lounge if you are flying out of Heathrow Terminal 3. I would even be tempted to use it, given that I have a Priority Pass, instead of the British Airways lounge when flying BA. I am getting ahead of myself, though, as my next stop after No 1 Lounge Terminal 3 was the Swissport lounge immediately adjacent. OMG …. that review is here. I’ve used that lounge, it’s excellent. Has a nice vibe and as you showcased, good facilities. The spa isn’t bad either. It’s not on the lounge pass list, so wasn’t aware it could be used! Ah, could have been my mistake. Thought I saw it on the board in the lounge but perhaps not …. 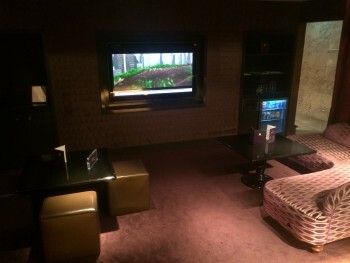 – some rooms (eg library & cinema) can be made unavailable when groups are expected, I think it is the lounge staff doing this to make sure they can sit together. On the Lounge Club website only Swissport is listed for T3, and you didn’t mention this one as an option when replying to my comment on your recent review thread of Amex Gold. You right, me wrong, sorry. What is the deal with the magazines in the BA lounges? Are the publishers paying BA to put them there? Always impressed with no 1 lounges. Gatwick North has recently been extended and is having some other refurbishment completed. On my last visit to this lounge it was busy but the staff were making a noticeable effort to clean up tables ASAP – BA take note! The avios.com £20 earn 750 avios deal is an excellent deal and I always use no 1 when flying from LGW, LHR T3 and EDI. If you have a tastecard or Gourmet Society card you can get 2-4-1 entry to the No1 lounge. We did that 2 weeks ago – 2 for £35. And you can get a free trial of these cards for a month (just be careful with Gourmet card – it’s subscription, so remember to cancel). I thought the lounge was good, the food was ok-ish, but it was a bit annoying that two areas were closed for ‘bookings’ (apparently, although no one came in during the 2 hours we were in there). Forgot about the premium security, the £20 avios deal is gaurenteed entry. 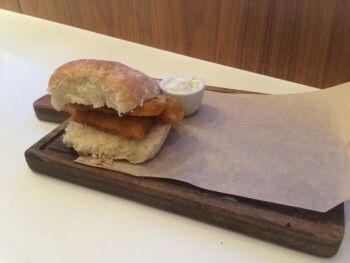 Useful at LGW North when BA will be using the no 1 lounge. Good timing, as I’m flying BA F to Miami on Wednesday from T3. I asked on FlyerTalk about it previously and the general view was none of the OneWorld lounges are that good, but Cathay is the best. I’ll be interested to hear your views. If the Cathay one is as good as the new renovated editions seen at Bangkok and Manila, then it should be adequate for a drink(s) and some dim sum. 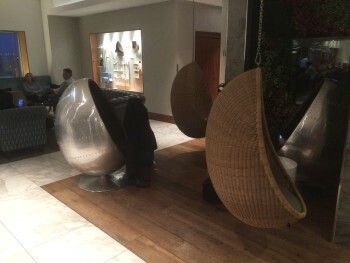 Concorde lounge or the choices Rob is reviewing currently! Must admit I did the same last time when flying out of T3 on BA, thought I may as well check out all available lounge options when I had the time! True …. it is called the library though! Just so people are aware, and I am sure Rob will cover this in due course, but the whole CX lounge is closing for refurbishment on 25 November. Cathay were unable to advise when it will reopen but I have heard not until at least Feb. I flew the first A350 flight out of LHR. Nice plane. Shame they forgot infant seat belts and masks in business so my wife and son ended up in economy….and so far Finnair don’t understand why I have a problem that I paid business class prices to end up with economy tickets! 🙁 Have reminded them of EU261 and hope that now they might stop taking the p*ss. Dreadful customer service. Just booked the lounge today, looking forward to the visit, gutted that I just found out about the discount and points with Avios though.